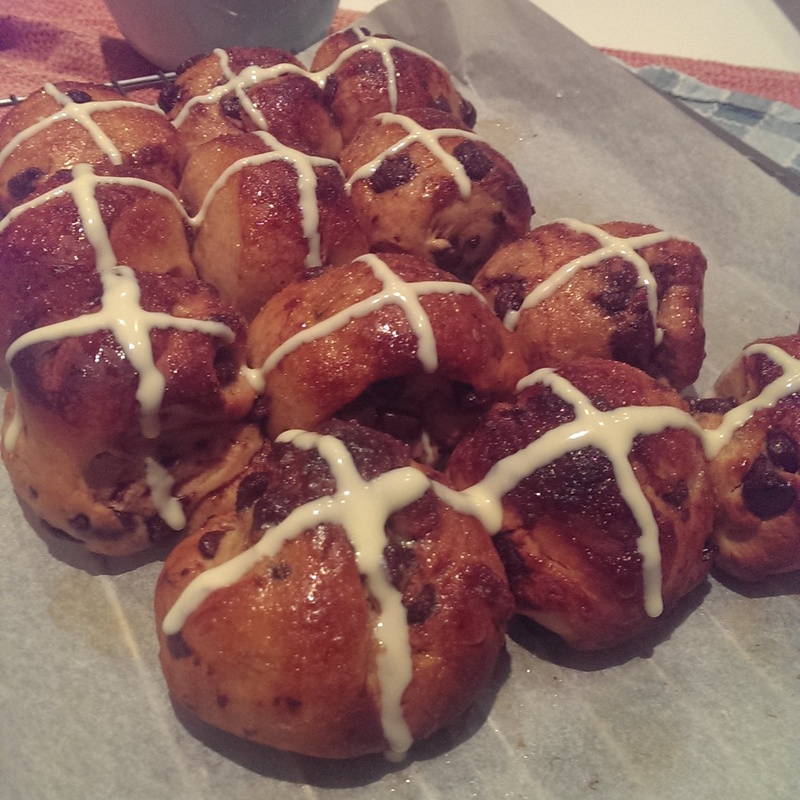 Gooey Jaffa Hot Cross Buns – Choyful. 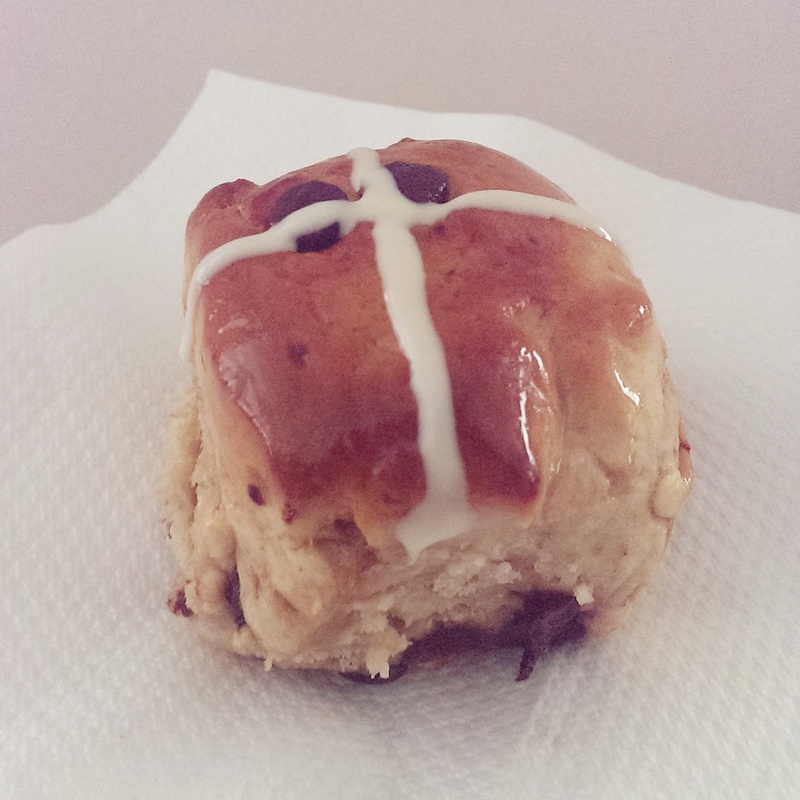 Easter is around the corner and I thought I’d attempt to make hot cross buns, since I hadn’t tried since home economics in year eight. 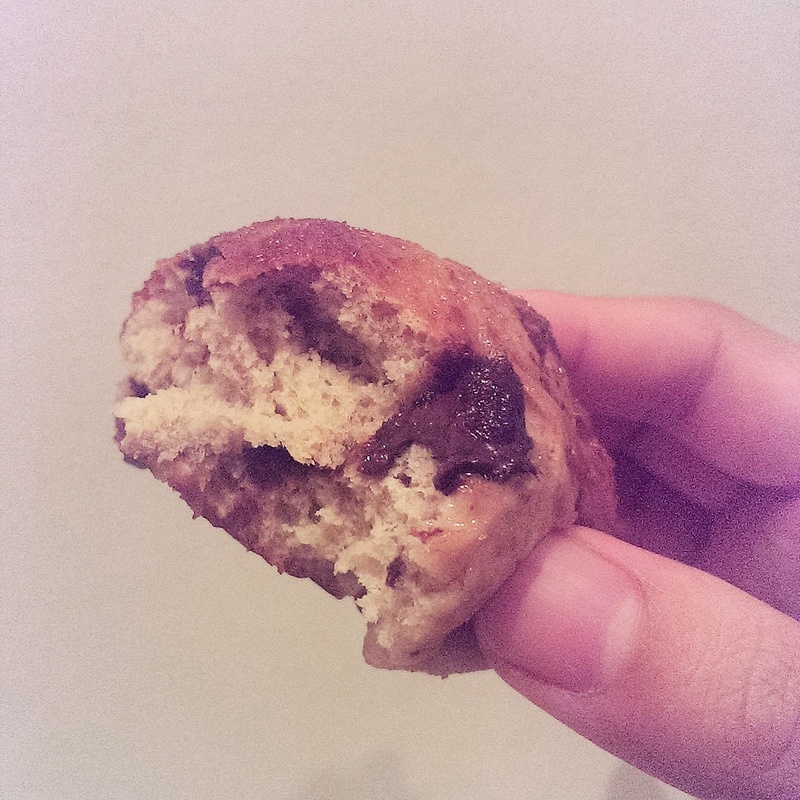 These buns when eaten warm are soft to bite into, with gooey chocolate chips oozing into your mouth as you chew. You can’t help but munch on them one after another according to my dad, who ate quite a number of them. Place the dough ball into a glass bowl and place glad wrap to cover. Cover for about 1-2 hours or until doubled in size. Line your tray with baking/parchment paper. Once the dough has risen, knock it down gently and gently knead. Separate the dough into equal sized balls. 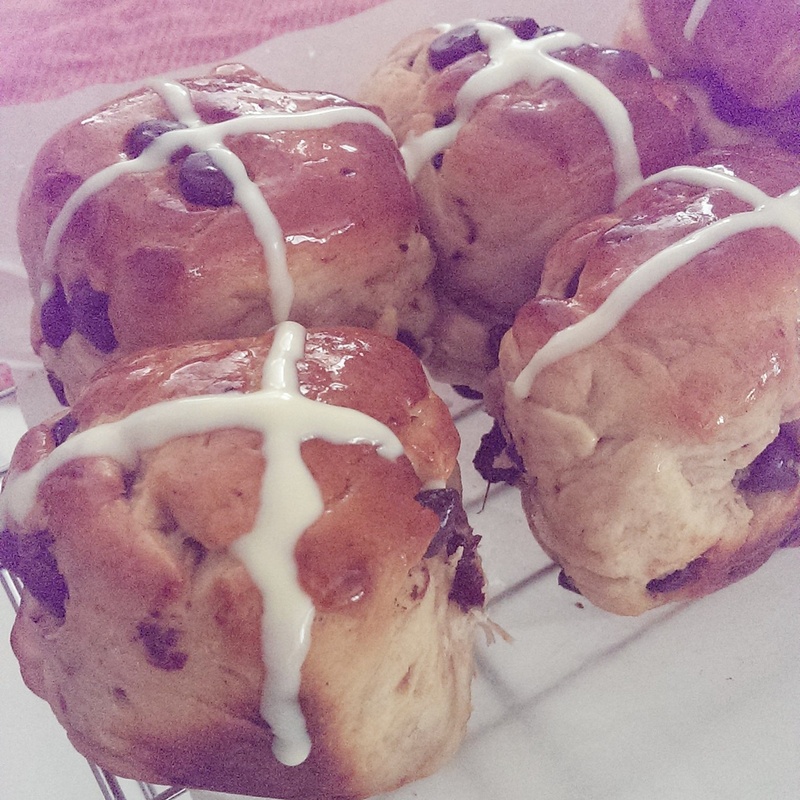 (I managed 8 medium sized buns, you can make 16 smaller ones for snack size). Bake for about 15 minutes (small size) – 25 minutes (medium size) or until golden brown and fragrant. Prepare glaze while buns are baking. For the glaze, combine water and sugar, and dissolve. To make crosses, melt white chocolate in small 20 second bursts, stirring in between each burst. Using a piping bag snip off the end and slowly pipe crosses over each bun so that it “hugs” the bun. Note: These buns are best enjoyed warm so reheated them in the microwave for 10-20 seconds and last about 2 days in an airtight box. Thank you! For the encouragement :). It’s good to know people that I don’t know read the blog, I will keep persevering. Checked out your blog too, it looks amazing!